The Tecno Camon i 2x is on among the latest Tecno smartphones released in India and the Indonesia. The Camon i2x marks the beginning of Tecno’s journey into the world of notch display cut-out. 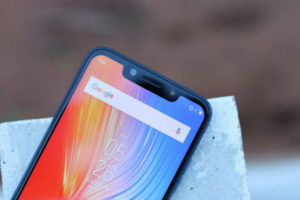 The device also come with full Artificial Intelligence (AR) features, all thanks to the presence of an AI dedicated CPU – the MediaTek Helio P22. As for specifications, the Tecno Camon i2x features a 6.2-inch display with a resolution of 1,520 x 720 pixels. As mentioned above, CPU is sourced from MediaTek, of course, I’m talking about MT6762 Helio P22 SoC clocked at 2.0GHz, assisted my PowerVR GE8320 GPU. Storage option is a combination of 4GB RAM and 64GB internal storage. As for the camera department, Tecno made use of a dual rear sensors, which is made up of a 13-megapixel main sensor and a 5-megapixel secondary sensor with four LED flashes. For selfie, there’s a large 16-megapixel AI packed front camera with f/2.0 aperture and an LED flash. Other specifications and features of the Tecno Camon i 2x, battery specifications amongst others, are detailed below.